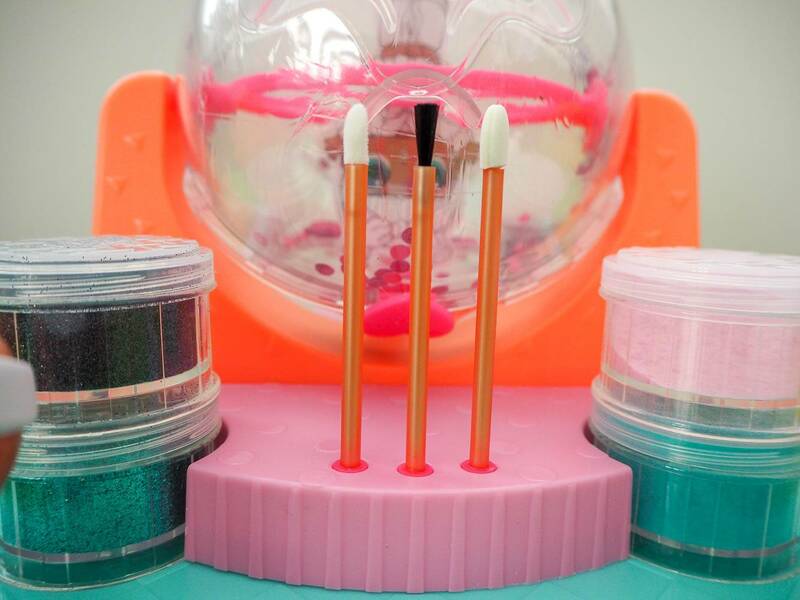 Introducing L.O.L Surprise DIY Glitter Factory…Plus A Giveaway! 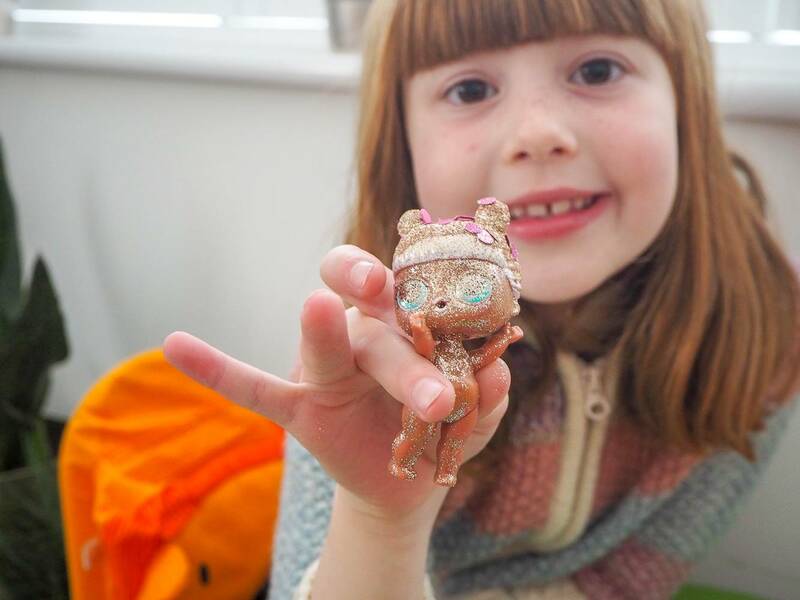 Do you have a child that loves L.O.L? 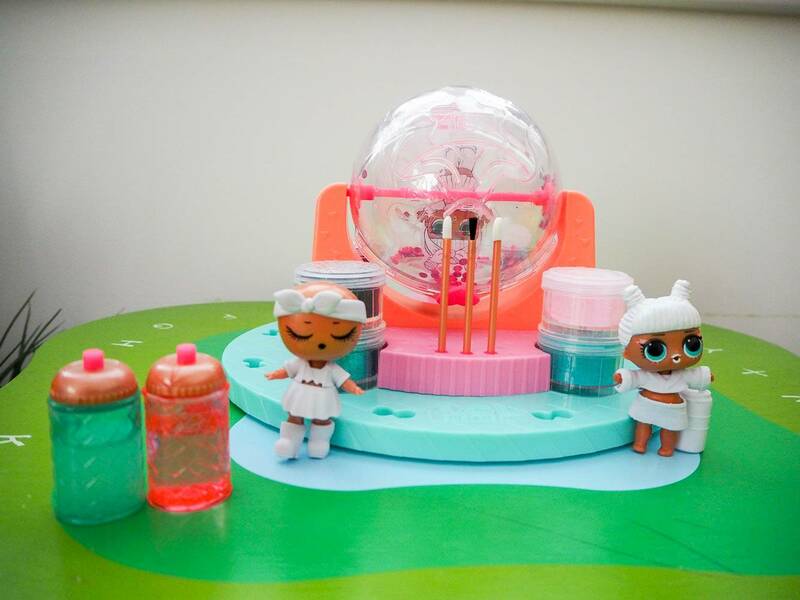 If like me you do, then they are going to love the L.O.L Surprise DIY Glitter Factory. Alice squealed when she saw it. My first piece of advice is to do it where you don’t mind mess. 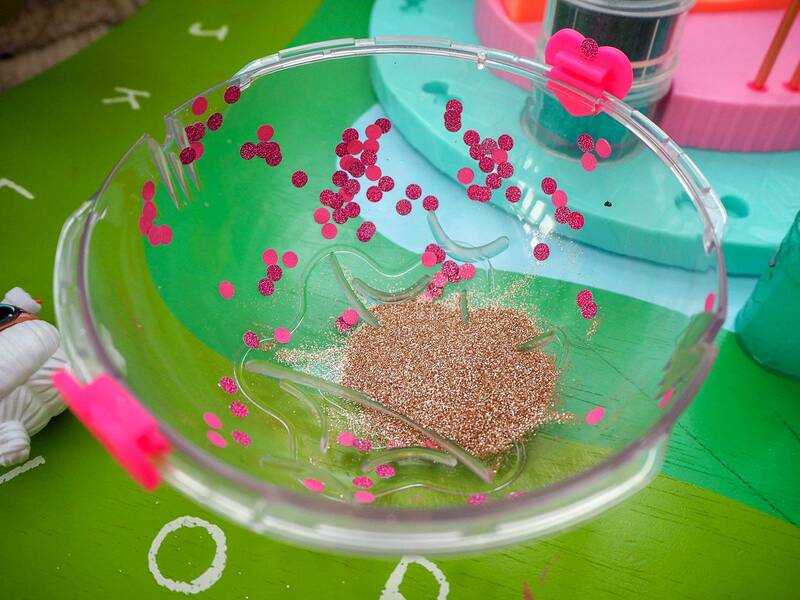 We sat at the girls arts and craft table, so it didn’t matter if glitter went everywhere. Inside the box is the glitter factory and of course what we’ve come to expect from L.O.L, lots of packets to open and reveal exciting things inside. 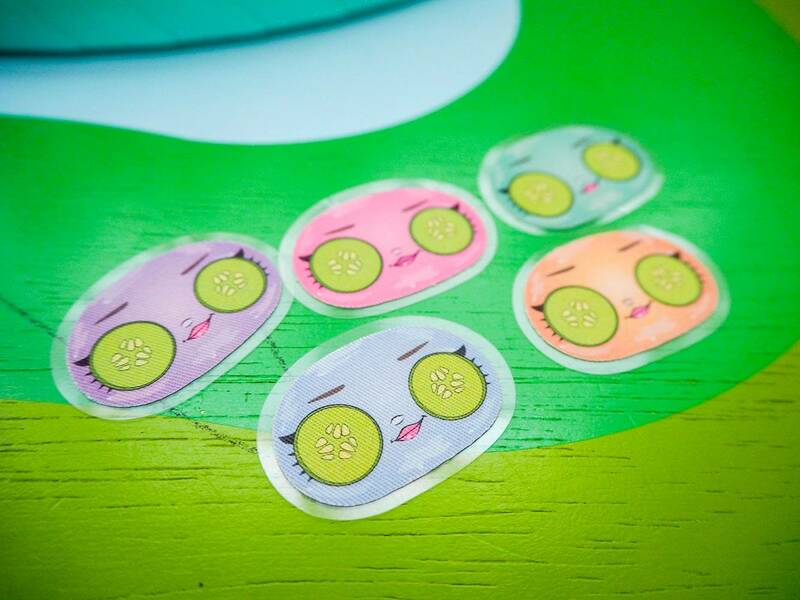 Inside the packets, where 2 dolls, their clothes in various different bags, and brushes. 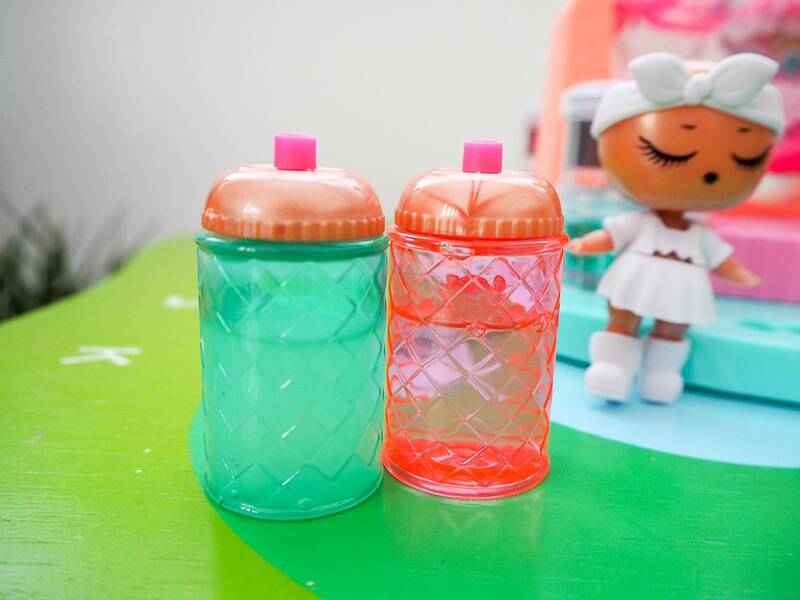 It comes with 2 dolls and their clothes are all white, as these are the parts that end up covered in glitter. 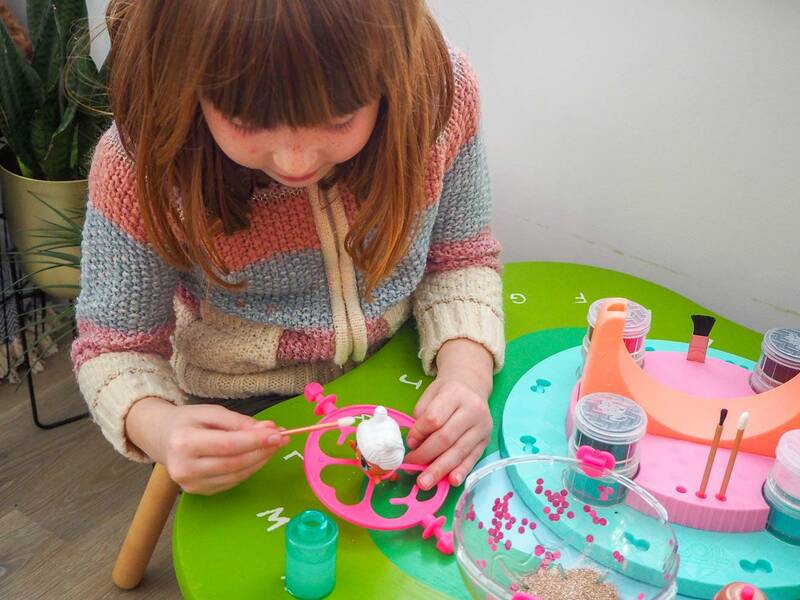 There are lots of different glitter pots, all different colours and brushes too. Alice couldn’t wait to get started. 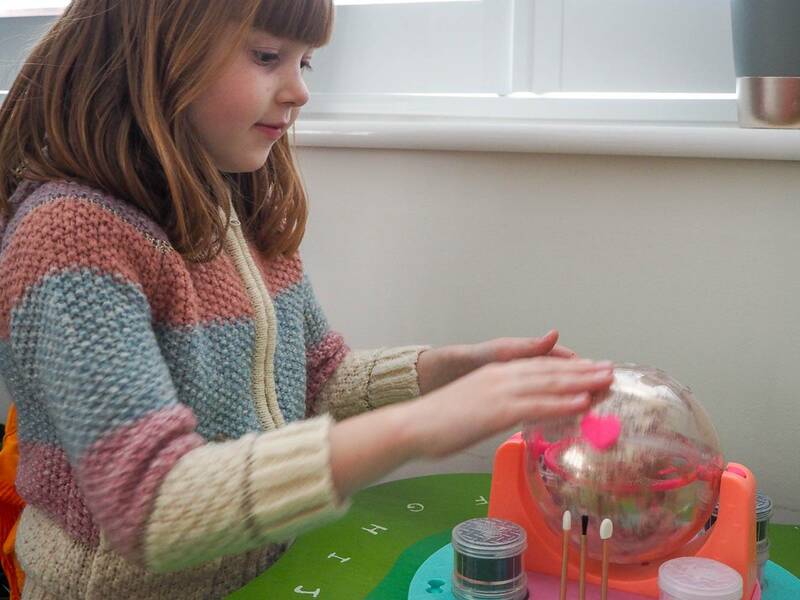 The first decision to make, is what colour glitter to use and Alice choose gold. You take off the ball and open it by unlocking the hearts on either side. You then pour the glitter into one hand of the ball. You then place the doll into the centre of the ball. 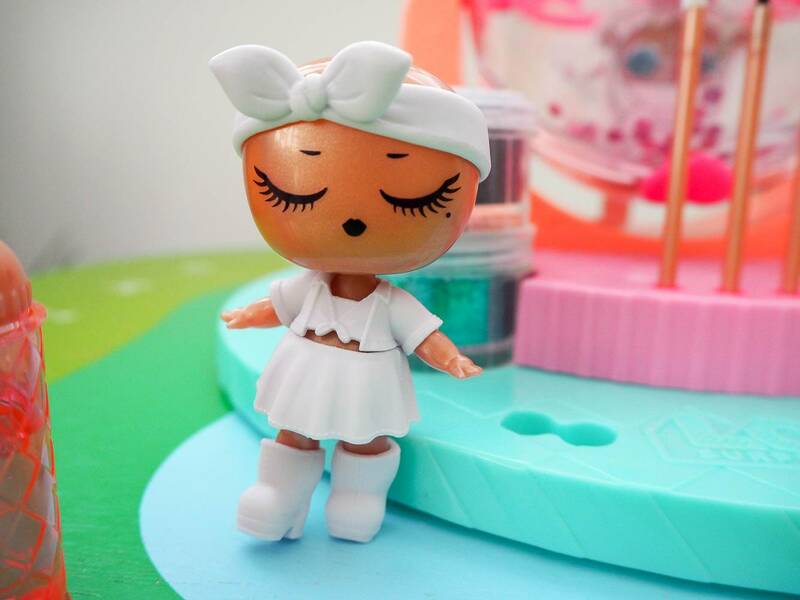 Then you add paint the glue onto the parts of the doll you want to cover in the glitter, using the brushes. Next you seal the ball back together, locking it with the hearts and place it back in the factory. Its then time for the fun part. 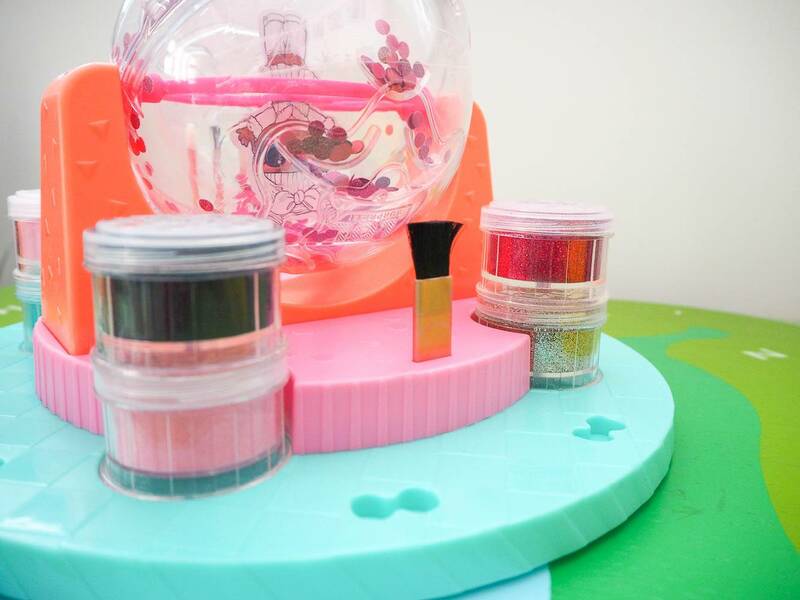 You spin the ball and all the glitter spins around and sticks to the parts of the doll where you put the glue. Alice loved it. I was worried about all that glitter when we opened the ball up again!! Once you’ve finished you open up the ball again and take out the doll, who is now covered in glitter. One thing that we forgot to do was put an eye mask onto the doll, which stops glitter sticking to them. Alice thought it was great fun and to be honest it wasn’t as messy as I thought it was going to be which is always a bonus. 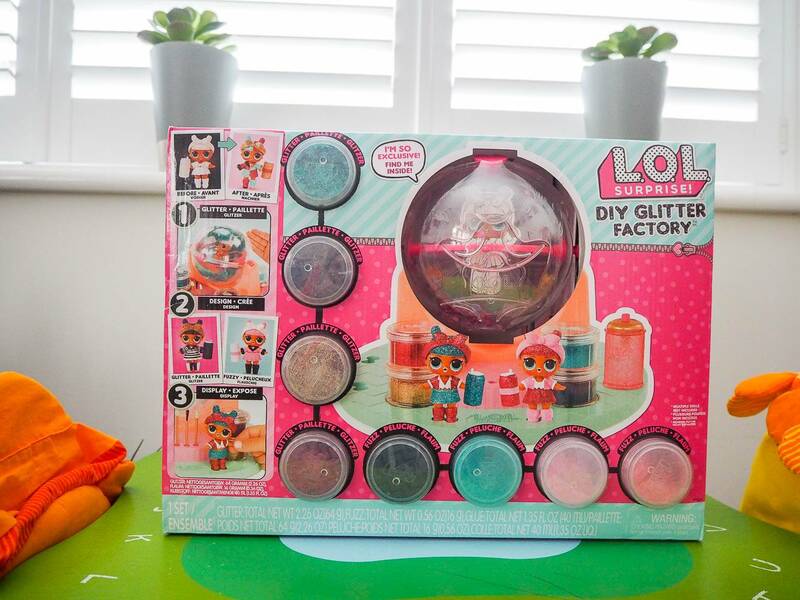 The L.O.L Surprise DIY Glitter Factory RRP is £39.99 and is available to buy at Smyths Toys and other retailers. 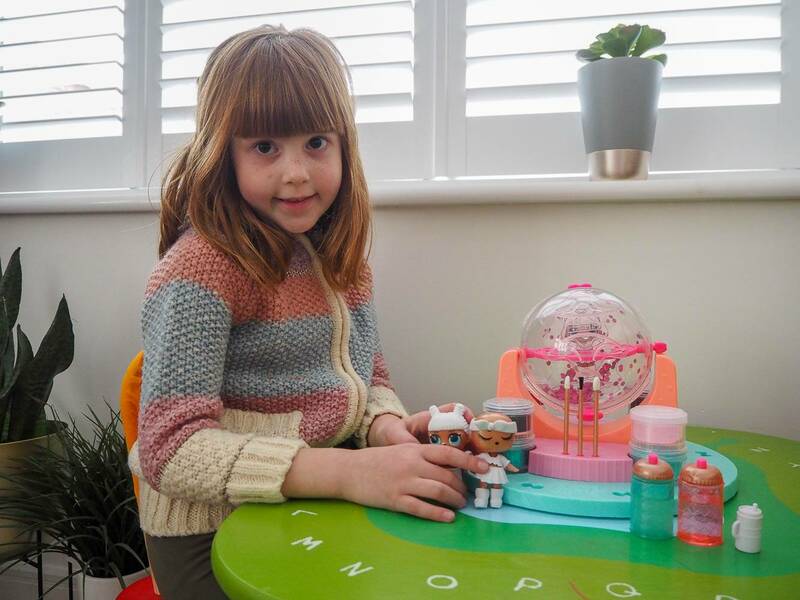 I have a great giveaway for one lucky reader to win a L.O.L Bundle worth £30. All you have to do to enter is head to the Rafflecopter below, it ends on Sunday 5th May 2019. Good Luck! 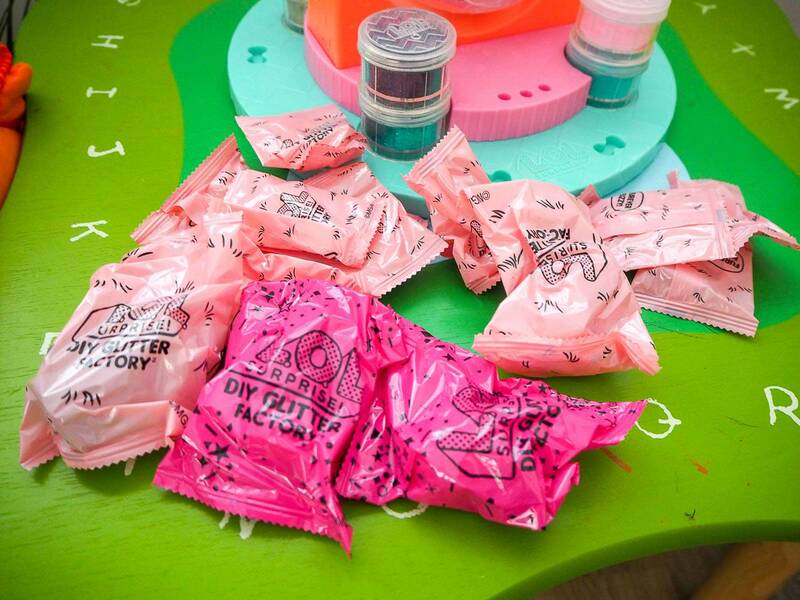 Disclosure: We were kindly sent our L.O.L Surprise Glitter Factory in return for an honest review. All views, opinions and photos are my own. OMG, all that glitter is giving me anxiety, lol. I’m sure for little LOL Doll fans this would be amazing though.